Meet Olive! The sweetest little deer around. This adorable toy that be used as a sensory toy, a teether, or a bath toy. 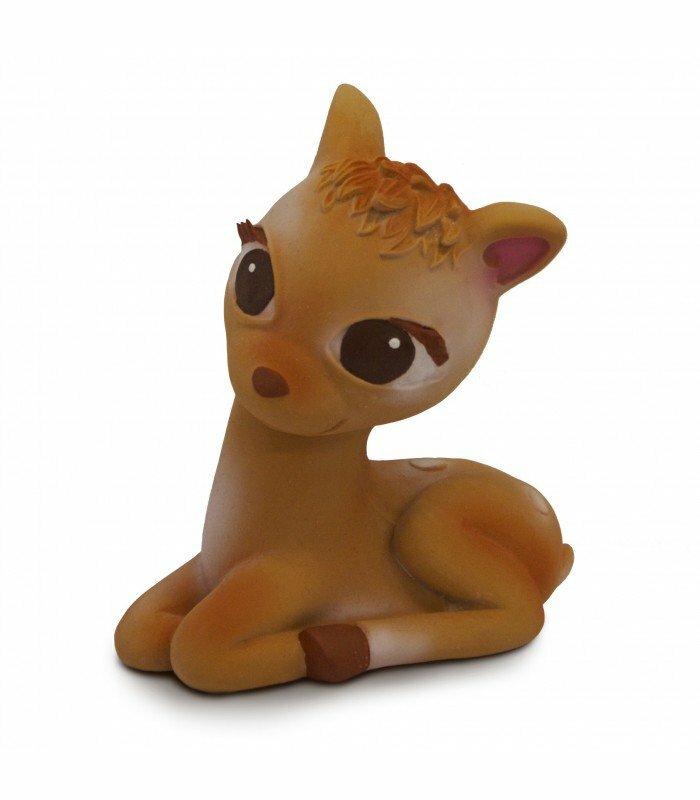 This little deer is soft and easy to grasp and has different textures to stimulate senses and soothes gums. Made from 100% natural latex and hand painted with safe, natural food graded dyes. Also BPA, PVC, Phthalate and Nitrosamine free. Oli and Carol products are designed in Barcelona and made in Morocco. *Due to the natural rubber used for it's creation and hand painted details, there might be minor variations in color and shape.